See how the HumanDrive project aims to overcome the shortfalls of driverless cars with sophisticated monitoring techniques. Autonomous vehicles have come a tremendous way since the early DARPA projects saw vehicles struggle to complete even rudimentary courses. The final mile before the vehicles are ready for public roads en masse promises to be the hardest, however. The HumanDrive project is being led by Nissan’s European Technical Centre and it aims to culminate in the most complex autonomous journey ever completed in the UK. One aim of the project is to develop vehicles that appear to all intents and purposes as though they’re being driven by a human (although presumably a good deal safer than human drivers). “While there are many vehicles around the world that have some self-driving features, such as self-parking or cruise control, integrating human-like driving to driverless vehicles will provide a smoother, more comfortable experience for drivers. 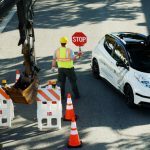 Our algorithm development is trying to achieve this along with an understanding of what people want from an automated driving experience,” the team said. The team will undergo detailed monitoring of how human drivers behave, both out on the road and also in the simulator provided by the University of Leeds. This analysis will provide them with a better understanding of what ‘natural driving’ looks like, and indeed the various factors that influence driver behavior, especially in response to risks. The team will then test whether we prefer autonomous vehicles that mimic human driving styles, or whether we want to diverge from human-like behaviors. The project aims to conclude around December 2019 with a 200-mile journey through a variety of settings in the UK, including both major motorways and winding country roads. In addition to improving the capabilities of the technology, the team also hope that it will raise awareness of the technology among the public, and of course, increase confidence in the safety of it. Will We Be Ready for Autonomous Cars by 2021?